Last month I was thinking about our family’s Advent activities, and realizing so many of our traditions are focused on the fun of the season, like decorating and baking. I wanted to instill more traditions focused on showing love and giving back. 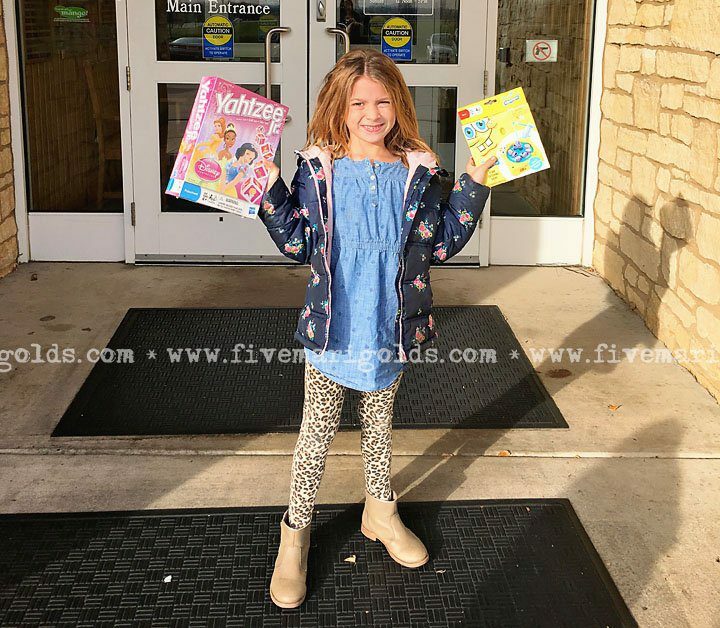 The result is a family activity that adds Random Acts of Kindness (ROAK) to our Advent countdown to Christmas, and it has been such a rewarding and inspiring tradition for our family. I created cards with ROAK prompts that we can tuck in our Advent Calendar or pull out of a jar each day. I made more than 30 kindness prompts so we would have plenty to choose from. I also included a few blank cards so we could fill in new ideas as we go! 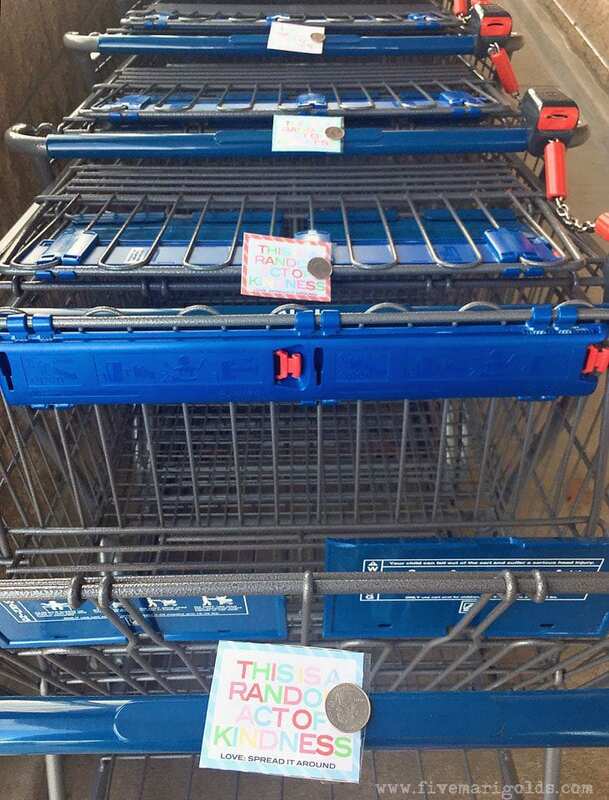 Plugged quarters into the shopping carts at Aldi. As you can see, I’ve also made printable cards to leave behind each time we complete an activity. It’s so exciting as a mom to see the kids really get into this! We like to think about our recipients and how they will react when they get that extra cash we tucked into our Redbox return, or that encouraging sticky note we put in our returned library book. We wonder if our message hit them at a moment they needed it most, and if they will decide to pass on the act of kindness. What’s been amazing is the change I’ve seen in the kids after just a few days. I’m seeing unprompted acts of kindness among the kids at home that were not happening even last week! I’m not saying they’ve turned into angels overnight, let’s be real here, but I will say that experiencing the joy of being kind seems to have a lasting, tangible effect for them. Do you like this idea for your family and want to join in? 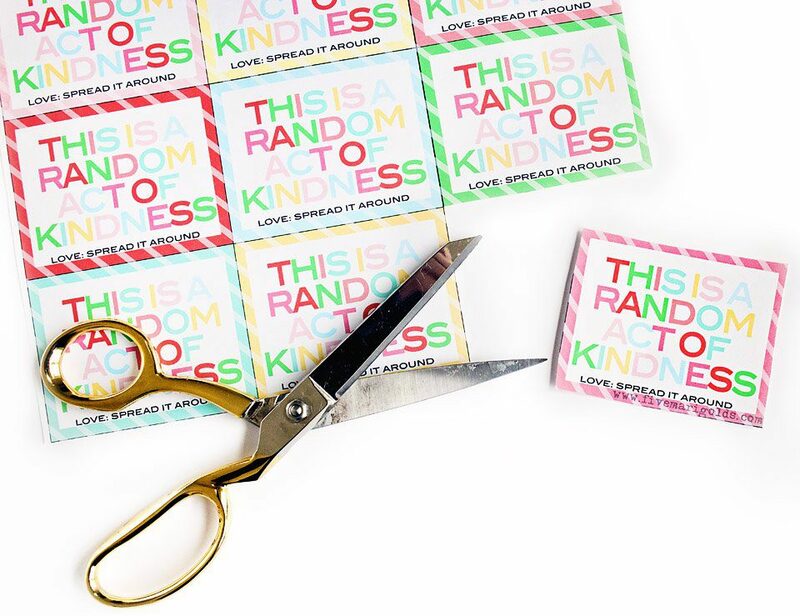 I’m making the Random Acts of Kindness Printables, both prompts and leave-behind cards, for my subscribers! What random act of kindness have you personally shared, or had someone do for you? Or, do you have ideas I should add to my list? I’d love it if you filled up my comments with lots of awesome ideas for sharing the love! 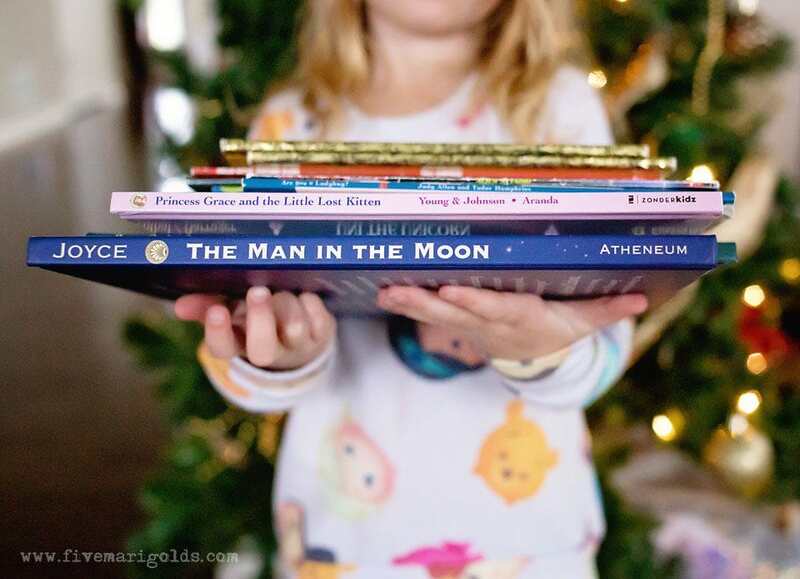 What a wonderful idea and a valuable lesson you are teaching your kiddos! I love this R.!!! What a great way to spread the holiday cheer and incorporate Advent. I just printed them off and I can hear Lucy reading them all aloud. Thank you! 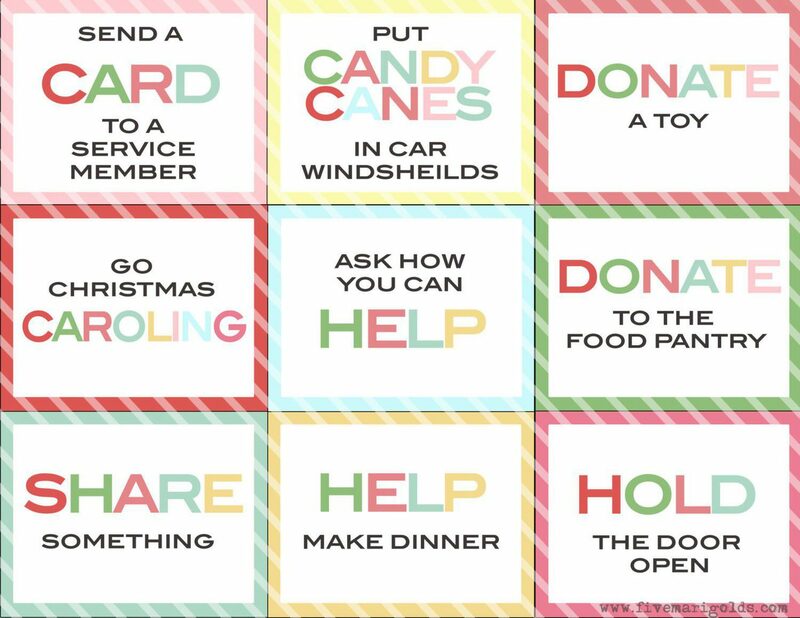 These ideas are cute:) I’m trying to put a random act of kindness in my daughters’ advent calendar. 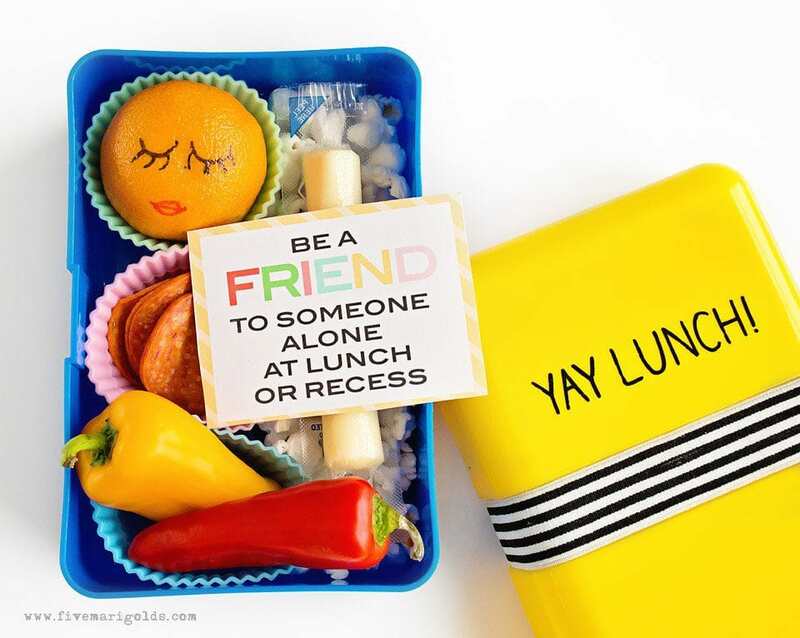 I like your printables! 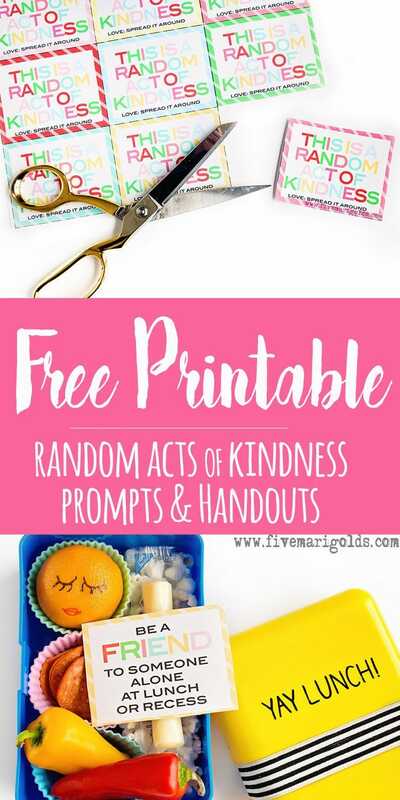 Love Love Love the Act of Kindness printable! This is such a great idea! These are so cute! I just printed off the cards, and I can’t wait to use them with my daughter! Today we’re buying gifts for a little girl her age on the angel tree at church. Thank you for this inspiration!